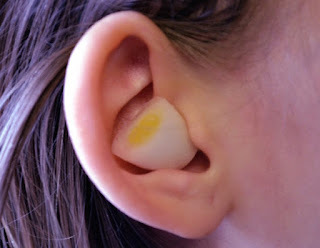 Causes of earaches can be: bacterial infection, common cold, passive smoking, allergies, abnormal ear structural formation, jawbone injury, punctured eardrum while cleaning, ear tube blockage, decrease in pressure due to high altitude, blister formation inside the eardrum, injection of foreign particles. Until a physician sees you, you may try with these things you have at home. Olive oil acts as a lubricant against the infection and provides with fast relief . Apply a few drops of warm oil. Garlic is a natural antibacterial and analgesic. Mash a few garlic cloves and wrap them in fine cloth. If you don’t want the mess, cut the extremes of the garlic clove and place the heart in the affected ear for half an hour, or even better, overnight. Grind a few slices of ginger and squeeze to extract the juice. Add the juice to warm olive oil or mustard oil, and put 2-3 drops inside the ear. You can also use this outside and around the ear. Crush a few onion slices, wrap them around a clean cloth and hold it over the infected or the painful ear. Peppermint can soothe the earache. Raw peppermint extract or peppermint oil can be massaged around the ear and on the outer part of the ear, to relieve pain. Don’t drop it inside the ear canal. For the inside, put the juice from fresh peppermint leaves in a dropper and then put some drops inside the aching ear. And of course, when pain or discomfort is due to altitude, you can chew gum for relief.